Cherie Johnson is an actress/writer/producer. After her role on the television sitcom 'Punky Brewster,' Cherie co-starred in a popular 90's sitcom 'Family Matters' as the best friend of Laura Winslow. She also had recurring roles in 'The Parkers' and 'Days of Our Lives.' In addition, she started an after school recreational program -- Off the Streets -- for kids whose parents work late nights. More recently, Cherie wrote, produced and starred in the movie 'I Do ... I Did!' on DVD & BET, along with a long list of other available and upcoming DVDs. Now, Cherie has embarked on a new career as an author with her AAMBC Award winning novel "Around the World Twice" and a poetry book "Two Different Walks of Life". She recently founded Cherrific Publishing becoming her own publisher. 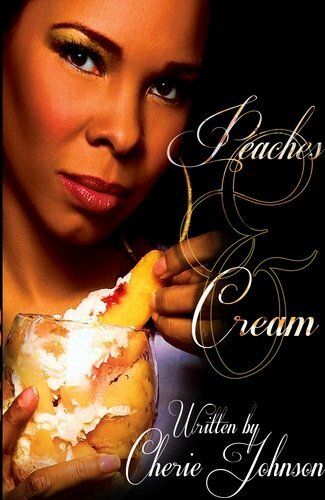 Her new release Peaches & Cream is available now. Peaches and Cream is about Peaches a little girl from Duquesne, PA who is wise beyond her years. She has big dreams and realizes early on that the choices she makes can change her and her family's world. She doesn't comprehend the words "No" and "You can't." She is what some might call an overachiever. Cash rules everything around her. Where she over achieves in monetary things, she lacks in understanding of human emotions due to a family secret that haunted her from childhood. She's got the money, the cars, clothes and she is successful. Peaches don't like labels and refuses to define her sexuality by labeling herself to make others comfortable and she doesn't care how anyone feels about it or her. While in the midst of struggling to better herself by all means necessary life's obstacles would not get the best of her she would get the best of any and everyone who stood in the way of her goals. Peaches had a point to prove to the most important person in her life and that was herself. She was going to get to the top and stay at the top. Her ego forces her to make decisions that will haunt her forever.